DUI Defense | Christopher M. Sierra, P.A. If you have been charged with a DUI in St. Petersburg, Florida, you may have many questions. Will I lose my driver’s license? Will I have a criminal record? Will my insurance rates go up? Do I have the right to fight my charges under the law? Like any criminal conviction, you are innocent until proven guilty of a DUI charge. This means that prosecutors must prove that you committed the crime using the evidence gathered by police. Officers are granted great powers in gathering evidence when they suspect that a person may have been guilty of drinking and driving. For instance, under Florida law, if you are stopped under the suspicion of a DUI and are then arrested for a DUI accident and are asked to undergo a breath test, you can lose your driving license if you refuse to submit to a breath test. Refusing to submit to a breath test can also later be used as evidence against you in court. If you take a breath test and your blood alcohol concentration is above 0.08%, you could face arrest and conviction of a DUI accident. If you are facing criminal charges for a DUI, it is important to seek the advice of a drunk driving attorney in St. Petersburg, like the Sierra Law Firm. The Sierra Law Firm can review the circumstances of your stop, review the evidence officers gathered against you, look at how evidence was handled, and fight your conviction. The consequences of a DUI can be very serious. Not only can you lose your right to drive, but you can also face increased insurance rates, problems getting a job, and other collateral challenges. Individuals who are immigrants could face immigration consequences under changes to immigration enforcement. With so much at stake, you may ask, who is a drunk driving lawyer near me in St. Petersburg, Florida who can help? The Sierra Law Firm will take the time to understand and fight your charges. 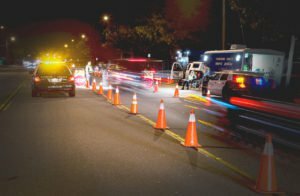 Given that officers have great powers when it comes to gathering evidence for a DUI, you may wonder what options you may have to defend yourself if you are facing charges. There are several DUI defenses that the St. Petersburg drunk driving accident attorney at the Sierra Law Firm can use to protect your rights. What are some leading DUI defenses? Intent to drive. It is possible to face DUI charges even if you are just sitting behind the wheel, trying to sober up. It may come as a shock to some, but the decision to wait before driving could come back to haunt you. If you have car keys on your person, an officer can claim that you had the intent to drive. Of course, this claim must be supported. If you are facing charges but were not driving, you may want to ask, “Who is a drunk driving attorney near me?” The Sierra Law Firm is a St. Petersburg, Florida lawyer who may be able to help you fight your charges. Officer had no legal right to stop you. Officers must have valid reasons for stopping you in the first place. If officers racially profiled you or failed to tell you why you were initially stopped, our firm can fight to have your charges dropped or reduced. Improper police procedure. Officers must read you your Miranda Warning and rights if you are under arrest. If officers don’t tell you that you have the right to remain silent, then you may be able to get your charges dropped or reduced, depending on the kind of information gathered during questioning. Failed field sobriety tests. Field sobriety tests are not equivalent to a breath or blood test. Field sobriety tests are based on observations made by an officer and some research indicates that these tests can result in false positives. If an officer arrested you after you “failed” a field sobriety test, you may have rights. Individuals can fail field sobriety tests due to medical conditions, lack of sleep, or other problems. Contact the Sierra Law Firm drunk driving lawyer in St. Petersburg, Florida. Witnesses. The Sierra Law Firm can also seek expert witnesses or speak to witnesses who saw you during the night in question. We can present evidence to support your case and help reduce or drop your charges. Miscalibrated breathalyzer. Breathalyzers must be properly calibrated to function properly. If officers fail to administer a breath test properly or if the equipment wasn’t in working order, the results could be compromised. The Sierra Law Firm understands how breathalyzers work and we can review how evidence was gathered and handled during your charges. We can also review any blood tests performed to see if there were inconsistencies. There are many strong and valid DUI defenses. If you are facing DUI charges, remain silent and ask to speak to a drunk driving lawyer near me in St. Petersburg, Florida. Ask to speak to the Sierra Law Firm. DUI charges carry serious consequences. You could lose your right to drive. You could face jail time. You could be required to pay a fine. First-time convictions can result in community service hours, mandatory drug and alcohol rehabilitation, and other consequences. If this is a second or third conviction, you could also face more serious charges. There are also many collateral consequences associated with a DUI. You could face higher insurance premiums, lose your job if you drive for a living, or even lose access to certain federal student aid programs. Under changing immigration laws, the current administration is also seeking to deport immigrants who have drunk driving convictions. Though these convictions were formerly considered low priority offenses, these new removal processes can result in more people being at risk of deportation with even a first-time DUI. 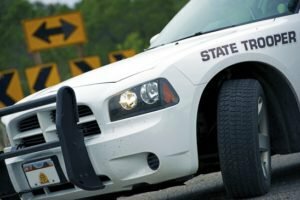 A DUI can affect your reputation, your record, and your rights. With so much at stake, it is important to seek proper legal counsel. Contact the Sierra Law Firm today to learn more about your rights and options under the law. Our St. Petersburg, Florida DUI accident lawyer can fight for your rights and defend you in court. For more information on DUI law in St. Petersburg Fl, click here.